BRUSSELS (Sputnik) - Hungarian Prime Minister Viktor Orban on Tuesday addressed the European Parliament during its debate of a report which says that Budapest risked breaching core values of the European Union. The draft report by Dutch Judith Sargentini, a member of the Group of the Greens/European Free Alliance, recommends launching a disciplinary process against Budapest, known as Article 7, citing concerns related to the functioning of the constitutional system, the independence of the judiciary, corruption, the freedom of expression, migrants' and ethnic minorities' rights in Hungary. The EU parliament is set to vote on a draft motion on Wednesday. "The Hungarian government is on a witch-hunt against everything that belongs in a healthy democracy that respects rule of law. Time and time again, Orban has gone against the norms and values of the European Union. When a country is no longer prepared to uphold our common values, it’s a logical step to take away its voting rights," Sargentini stressed. "What you do is give a slap in the face of Europe and of real dialogue… I reject the threats, blackmail and defamation that this report brings on the Hungarian people. Whatever your decision will be in this European parliament, we Hungarians will protect our borders and rights," Orban said addressing the parliament. "The key to this report and this debate is the last chance of the Left and the Liberals to impose sanctions on Hungary before Europe goes to the polls. They hope that this witch hunt will damage Fidesz in the public’s eyes and warn other countries like Italy and Austria that their bad behavior will not be tolerated by Brussels," Atkinson said. 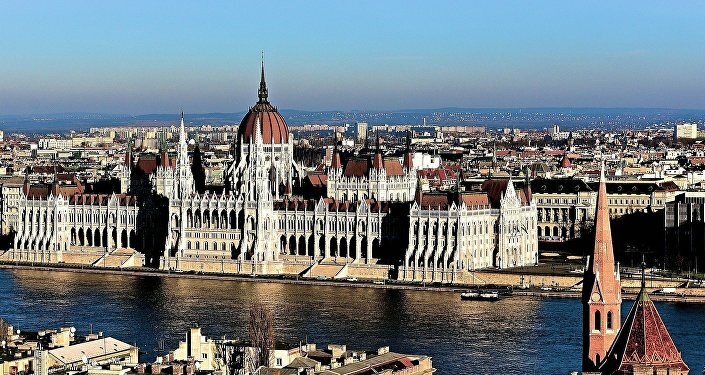 Hungary has long been critical of the European Union's open-door policy, initially introduced at the onset of the European migration crisis, and opposed the mandatory migrant relocation quotas. Budapest’s stance prompted the European Commission to launch its first infringement procedure against Hungary over the latter's asylum legislation, which set up border fences and enhanced border control with neighboring Serbia, among other measures, in December 2015.